The aim of the present study was to examine the impact of audio-tactile maps on the improvement of cognitive maps of individuals with blindness. The area mapped on the aid was known and familiar to the participants. Twenty adults with blindness (total blindness or only light perception) took part in the research. The age ranged from 20 years to 52 years (M = 37.05). The subjects participated in two experiments. During the first experiment the participants depicted their cognitive maps of a familiar city route on a haptic model using the materials materials given. In the second experiment the participants read the audio-tactile map of this route, and then they were asked to depict anew their cognitive map of the same route on a haptic model. 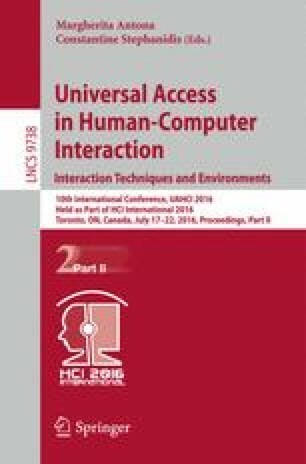 The findings highlight the positive effect of the use of audio-tactile maps from individuals with blindness on the knowledge of a familiar city area.